Never get amounts wrong again – this Adjustable Measuring Spoon from Walfos is the ONLY one you will need in your kitchen! 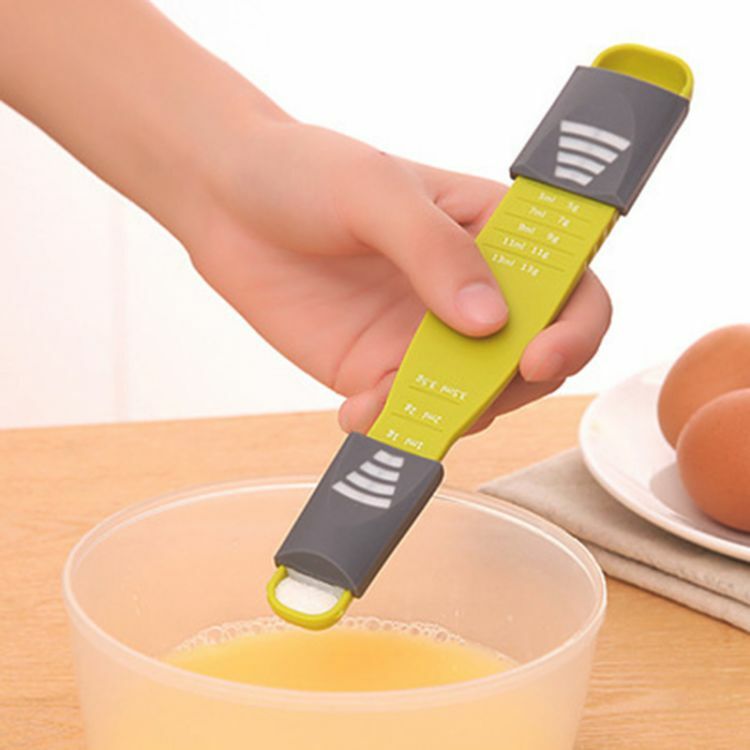 Make cooking fun and easy with our Adjustable Measuring Spoon - great fun for chefs of all ages. Easy enough for the little kids (and big kids!) to use. Cooking made easy super convenient; grooved thumbprints help you move the sliders back and forth for accurate measuring! 8 size settings, tough, durable and easy to clean.